Before deciding to pay cash for your next home be sure to calculate your options and consult with an expert. Older homebuyers are often faced with the question of whether to take out a mortgage or buy a home with cash, typically utilizing the equity in their current home. While an all cash deal is a way to avoid years of added interest, taking out a mortgage frees up cash for investments or other purposes. There are several things to consider before choosing the option that is best for your financial situation. There are many benefits to buying a home with cash, but it is not an option that every homebuyer can afford. To be prepared for unforeseen events and emergencies, financial planners typically recommend keeping six months of expenses in a liquid account. This tip may be even more important if you are headed into retirement and will no longer be earning a regular salary. When looking for an affordable home, be sure an all-cash deal wouldn't leave you without a liquid safety net. If you decide that you are in a position to pay cash for your next home, and still have adequate savings in a liquid account, you will then need to calculate whether paying cash is actually a better deal. Taking out a mortgage adds years of interest to the price of your home, yet a low enough interest rate could potentially let you earn more money by investing that cash elsewhere. Imagine you are buying a $200,000 home. If you were to put $50,000 down and take out a 10-year fixed loan for $150,000 at 3.25 percent, you would be paying nearly $29,000 in interest over the life of the loan. (Assuming a property tax of 1.25 percent.) But you could then put the $150,000 that you would have used to buy the home into another investment which could potentially earn more over the same 10 year span. However, the decision is not actually that simple. First of all, there is no guarantee that another investment would earn enough to offset the cost of the interest on your mortgage. Second, there are additional benefits to buying a home with cash. In today's environment, new lending rules are adding extra steps to the mortgage process and potentially making it harder for buyers to qualify for loans. Therefore, buyers who can offer an all-cash deal may be in a stronger position. 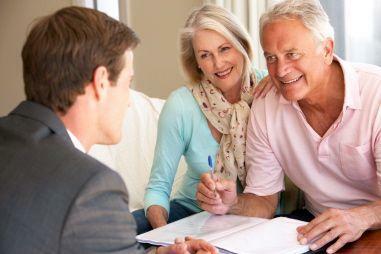 Particularly because the deal can be processed much more quickly than a sale involving a lender. In the case of a bidding war, sellers may prefer to accept an all-cash deal. You may even be able to buy the home for a lower price. By paying cash for your home, you will also have lower closing costs. There are no mortgage application fees, loan origination fees or other mortgage-required fees. You are not required to pay for an appraisal or title insurance either, although both are usually a good idea. But keep in mind that it's still best to hire a lawyer to represent your interests in an all-cash deal. One other point to consider is the tax break which comes with a home mortgage. Currently, the interest on your mortgage principal is tax-deductible, which can be a nice benefit come tax time. But buying with cash doesn't mean you won't be eligible for other homeowner-related tax breaks. If you need to take out a home equity loan in the future, it will be deductible (at least in part). And, when you sell your home, any profit up to $250,000 (or $500,000 for a married couple) is exempt from capital gains tax. Buying a home with cash is often a great option, for those who can afford it. However, it's always best to consider all of your options before making a financial decision. Only the first initial of your last name will be displayed. Example: "Jane Doe" will appear as "Jane D."